The use of animals in therapeutic intervention is becoming more and more popular in modern professional practices, and at JSA, we’re big advocates of the benefits that animals bring to the therapeutic care of our clients. We are fortunate enough to have our own stables, arena and horses, and welcome young people as well as adults to our 15 acres of land for our therapeutic approach. 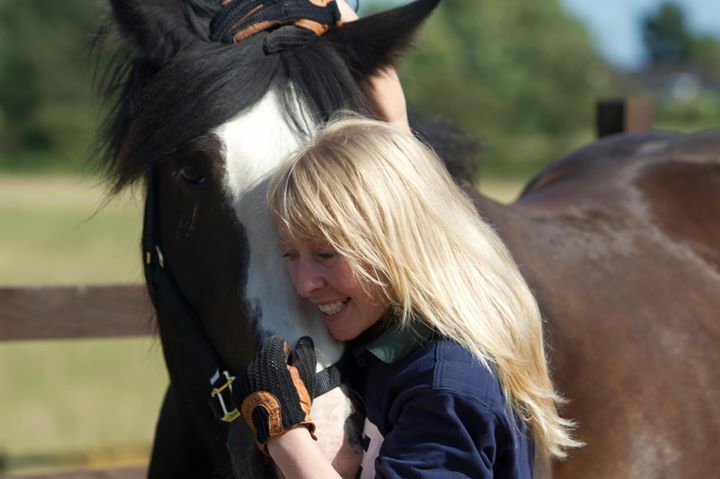 Equine and Animal Assisted Therapy is non-directive and brings clients into a truly different environment for therapy – in all senses of the phrase! Clients will arrive at our stables and will choose the horse or pony that they feel instantly most drawn to; no names, genders or stories are given. The clients will explain to the therapist why they have chosen their horse, before venturing into the stables and/or arena to spend time together. Clients can do as they please in communicating and caring for their horse, though riding is not part of the process. Safety is always our number one priority. Clients are reminded throughout their session that horses will also do as they please, and so if the horse chooses to retreat away from the client, it is likely that they are picking up on something from their human counterpart, which can be a great reflection tool for our clients in considering the messages and body language they are displaying. Horses are flight animals who will pick up on stress, but similarly, they are also very empathic and want to be with their human companions, so we work with our clients to look at signals that may affect this relationship and dynamic. Our horses are incredibly popular with clients, and as they can often be used as a screen for what our clients are thinking and feeling, and serve as a vessel through which they can communicate, this therapy is often offered as an additional session to supplement other therapeutic models at our discretion. In addition to making good use of our wonderful horses, we have also run therapeutic sessions involving dogs and a variety of other animals. More about the fascinating work our team here at JSA can do in this field – if you’ll forgive the pun – has been widely documented and praised in a range of publications including Lancashire Life, so please check out the links on our website for further information as to how this therapy may help.